Release Date:03/24/2017;Notes:Part two of two LP versions. The Wewantsounds collective present an impeccable selection of bossa nova sounds from Rio, featuring hip cult classics and rarities. Bossa nova revolutionized the world in the '60s, but the revolution was already bubbling from the late '50s. Featuring key artists like João Gilberto, Vinicius de Moraes, Elis Regina, and Elza Soares - who is making a highly-acclaimed come-back (MAIS 031CD/LP) -, as well as more cult musicians like Orlann Divo, Johnny Alf, and Celso Murilo. 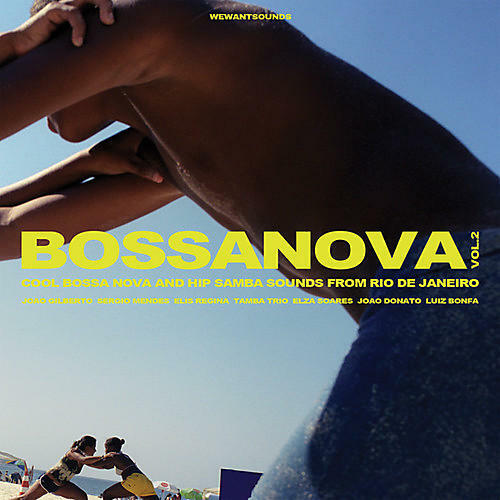 Bossanova is the perfect mix of early bossa and samba canção (with it's more relaxed samba singing). Tune up to the cool Brazilian sounds of the Bossanova. Compiled by the Wewantsounds clique, Bossanova features 40 tracks and comes with an essay, with track-by-track analysis, from French journalist Jacques Denis. Vol. 2 LP features: Elza Soares, João Gilberto, João Donato E Seu Trio, Celso Murilo & Conjunto Drink, Elis Regina, Agostinho Dos Santos, Rubens Bassini E Os 11 Magníficos, Leny Andrade, Johnny Alf, Tamba Trio, Ana Lucia, Orlann Divo, Baden Powell, Alaide Costa, Norma Bengel, Os Cariocas, Luiz Bonfa, Sylvia Telles, Dorival Caymmi, and Carlos Lyra.